Though it's a little bigger than the Powerstation Plus XL, the non-Plus XXL version offers more bang for the buck. 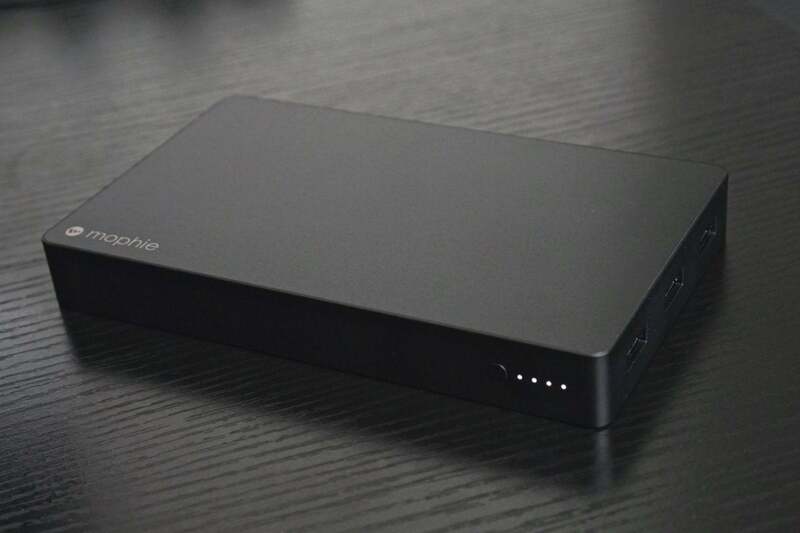 Mophie’s Powerstation line of portable battery packs have been around for some time, and they’re generally solid (if somewhat expensive) products. Now, the company has versions made exclusively for the Apple Store. What sets these apart is that they recharge using a Lightning port, so you can use your standard iPhone or iPad power adapter and cable to recharge the battery pack. In other words, you don’t have to carry around a separate microUSB or USB-C cable (and maybe power adapter) just to recharge your portable battery pack. That’s convenient if you’re all-in on Apple hardware, but the fact that you can get higher-capacity batteries for less if you’re willing to lug around one more cable makes it hard to recommend. Mophie’s Powerstation Plus chargers include an integrated Lightning charging cable, and are a little smaller. If your priority is a pack that you’ll charge up at home but will take minimal space in your bag, while allowing you to recharge your phone a couple times, it’s a decent choice. You recharge this Apple-exclusive Powerstation with a Lightning cable. It’s convenient, but a little slow. The non-Plus Powerstation packs have no cable included at all, and feature a larger aluminum body. 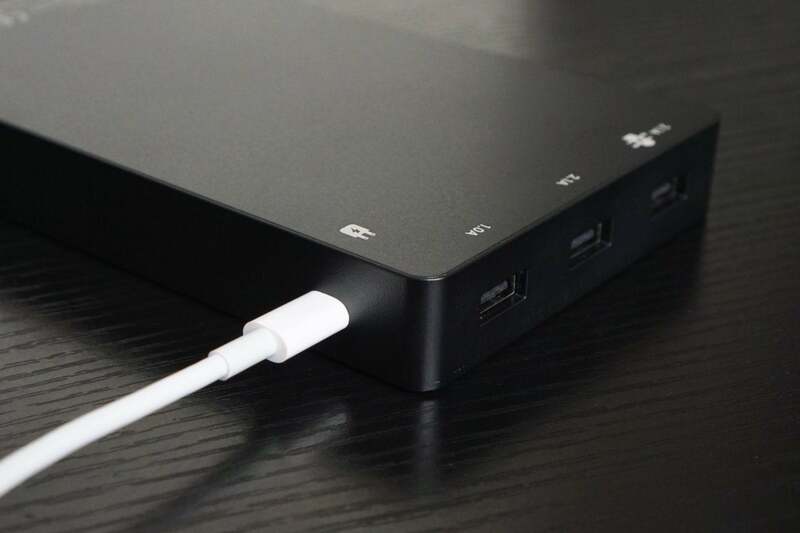 But you get a lot more bang for the buck—this Powerstation XXL has the same $100 list price as the Powerstation Plus XL but features three USB-A ports instead of just one, and doubles capacity from 10,000 to 20,000 mAh. Two of those ports are 2.1A, and they charged up my phone just as fast as the 12W iPad power adapter. The third is only a 1.0A port. While the Powerstation has enough output to charge devices over all three ports at once, that 1.0A port is going to be pretty slow. It’s a good candidate for your Apple Watch charger. With three USB-A ports (two 2.1A, one 1.0A) you can recharge your iPhone, iPad, and Apple Watch all at once. 20,000 mAh takes a long time to charge using a Lightning connector; you’ll want to plug it in and let it sit overnight. 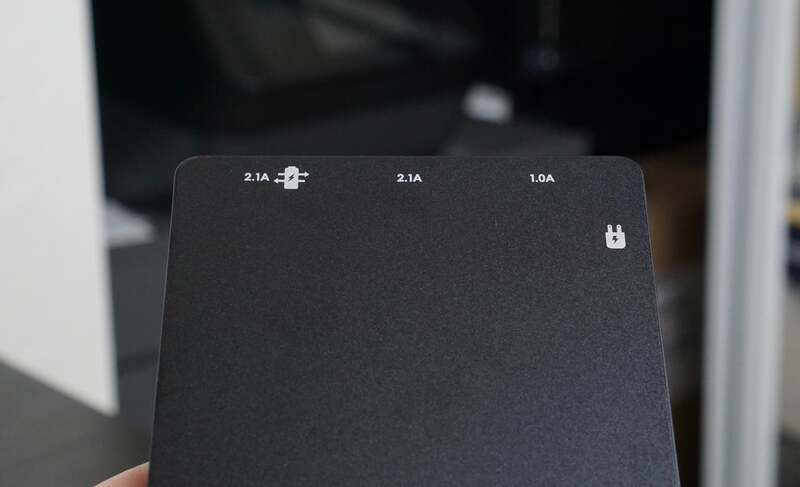 One of the three USB-A ports is charge-through port, which will charge up a connected device before charging up the battery. It’s perfect for those overnight charges. The Powerstation XXL does what it says it does. It’s got enough power to recharge your iPhone X six or seven times, or even the big 12.9-inch iPad Pro twice. But you’re paying a lot for that Lightning recharge port. Consider Anker’s PowerCore+, which has a similar cost but nearly a third more capacity: 26,800 mAh. Sure, you have to carry around a USB-C power adapter and cable, but that makes the battery pack charge more quickly, and if you’re a MacBook user you’re probably lugging one around anyway. And the 30W USB-C port means it can charge your MacBook, too. Oh, and it comes with a 30W USB-C power adapter. What Mophie’s offering in the Powerstation XXL is similar to so many of its other products. It’s solid, well-designed, well-built, and reliable, but it also costs significantly more than some of its competitors. If you really value a battery pack that charges via Lightning port, its worth picking up, but only if you find it on sale. 20,000 mAh is a lot of power, enough to fully recharge that 12.9-inch iPad Pro a couple times. By requiring a Lightning cable to recharge, the Powerstation XXL lets you leave the microUSB cable at home. Otherwise, it is a solid, if somewhat basic, battery pack.